I've temporarily suspended the usual ban on vodka in this space because, well, it's New Year's Day, and I'm hankering for a Bloody Mary. So, if I must choose a vodka - that transparent spirit which usually ranges from rubbing alcohol to perfectly invisible - I might as well reach for some Pennsylvanian liquor pride. Hey, I might as well choose one that even tastes like something! 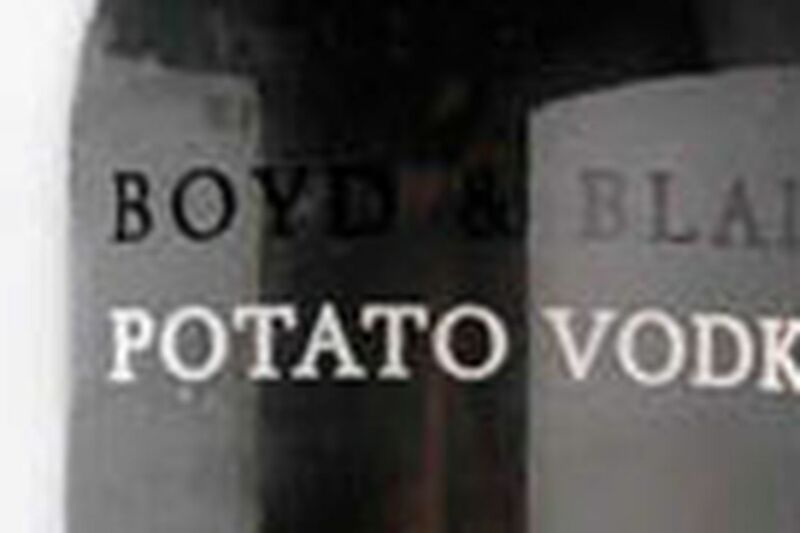 Boyd & Blair's potato vodka scores on both counts. Made just outside Pittsburgh, this spirit, unlike so many phony upscale vodkas (often purchased neutral grain alcohol dropped through a filter straight into a fancy bottle) is actually handmade from raw ingredients in a copper still by owners Barry Young and Prentiss Orr. The Schuylkill County spuds, diverted from their usual destiny as chips, become a drink that really smells like fresh-ground potatoes, with a richness in the mouth, a light cocoa-ey sweetness, and a flawless vapor-free finish that even goes down nicely neat. When I'm done with this Bloody Mary.